Floral print is nothing new, obviously. But the flowers making up the print are usually roses or daisies. Peonies, despite its popularity, almost never makes it onto a piece of garment. I was thrilled when I saw this romper! The floral print looks like peonies! I also love the ultra feminine combination of pink and purple as well as the cute fluttered neckline and sleeves! I paired it with a cream bucket bag and these lovely bow strappy sandals. Hmm the more I look at it, the more they look like garden roses that resemble peonies... Oh well, that's good enough for me! 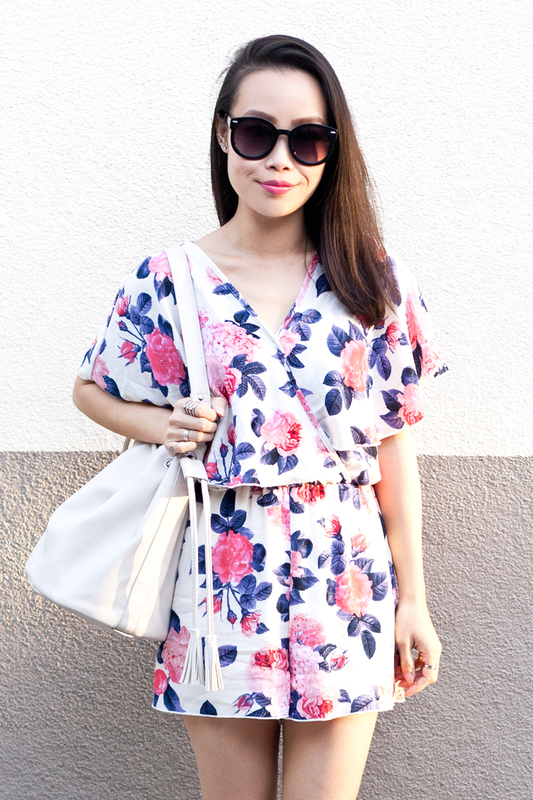 Floral print romper c/o Charlotte Russe. 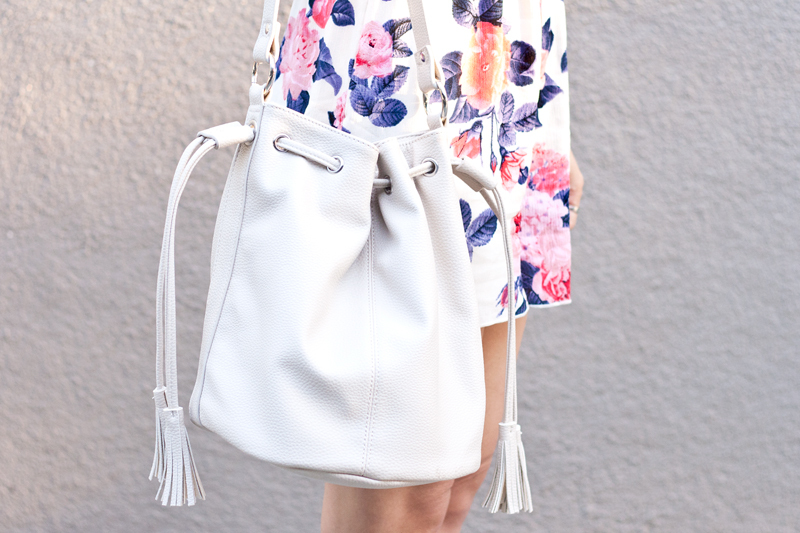 Cream bucket bag c/o F21. Bow strappy sandals c/o F21. Peonies are such delicate and beautiful flowers, I love them. 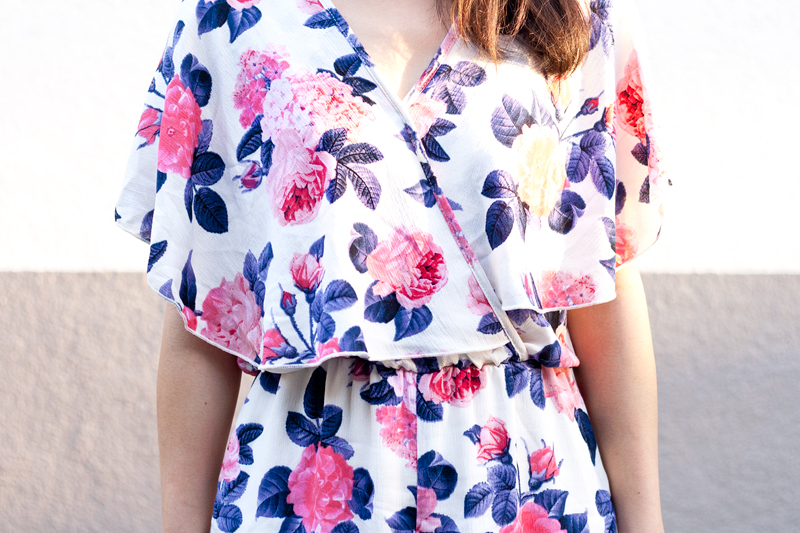 They look so pretty on your romper!